The Gear Alloy 713MB Double Pump machined & black wheel is available in 16, 17, 18, 20 and 22 inch sizes. The Gear Alloy 713MB is available for most trucks and SUV's. Free shipping on Gear Alloy 713MB Double Pump wheels. Free lugs and locks included with the purchase of a set of 4 Gear Alloy 713MB wheels. 16x8 5x114.3 0 713MB-6806500 $133.33 29 Lbs -->> Call or email for special deals! 16x8 5x135 0 713MB-6805300 $133.33 31 Lbs -->> Call or email for special deals! 16x8 6x139.7 0 713MB-6808400 $133.33 29 Lbs -->> Call or email for special deals! 16x8 8x165.1 0 713MB-6808100 $133.33 29 Lbs -->> Call or email for special deals! 17x9 5x135 +10 713MB-7905310 $145.24 37 Lbs -->> Call or email for special deals! 17x9 5x139.7 +10 713MB-7908510 $145.24 35 Lbs -->> Call or email for special deals! 17x9 6x135 +30 713MB-7906330 $145.24 35 Lbs -->> Call or email for special deals! 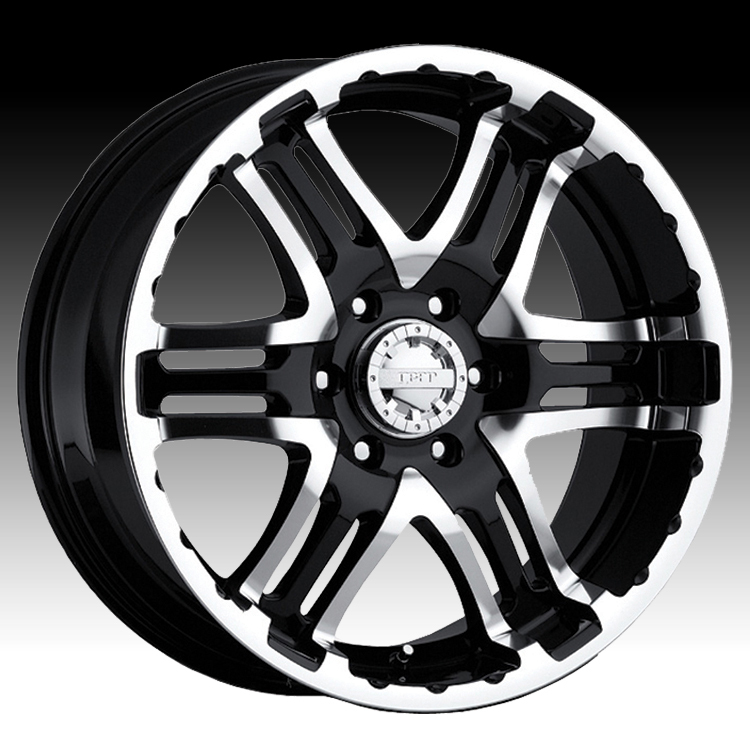 17x9 6x139.7 +10 713MB-7908410 $145.24 35 Lbs -->> Call or email for special deals! 17x9 8x165.1 +10 713MB-7908110 $145.24 35 Lbs -->> Call or email for special deals! 18x9 5x135 +10 713MB-8905310 $170.70 41 Lbs -->> Call or email for special deals! 18x9 5x150 +30 713MB-8905030 $170.70 43 Lbs -->> Call or email for special deals! 18x9 6x139.7 +10 713MB-8908410 $170.70 38 Lbs -->> Call or email for special deals! 20x9 5x135 +10 713MB-2095310 $208.92 45 Lbs -->> Call or email for special deals! 20x9 5x139.7 +10 713MB-2098510 $208.92 45 Lbs -->> Call or email for special deals! 20x9 5x150 +35 713MB-2095035 $208.92 51 Lbs -->> Call or email for special deals! 20x9 6x135 +30 713MB-2096330 $208.92 45 Lbs -->> Call or email for special deals! 20x9 6x139.7 +10 713MB-2098410 $208.92 45 Lbs -->> Call or email for special deals! 20x9 6x139.7 +30 713MB-2098430 $208.92 45 Lbs -->> Call or email for special deals! Gear alloy 713 double pump wheels are awesome!...look better in person than online!..response to emails was excellent!...felt like they cared!...my experience with these guys was tops!...thanks guys for the customer service..means alot !..n makes a difference!